When we watch films, it is to enter new worlds and to experiences lives often far removed from our own. Movies exist to show us universes and ideas we've never dreamt of before; to imbibe us in the thoughts and feelings of others. A trip to the cinema subsumes us, allowing us to visit strange new places and to enter mind-frames detached from ours. As we cheer on our heroes - whether their quest is romantic, political or even military - cinema gifts us the tools of empathy so as to emotionally invest us in their journey. Very few movies, however, are actually about empathy. It is rare that, in the text projected onto the big screen, we are asked to consider the machinations of cross-person understanding or how the emotion actually works. 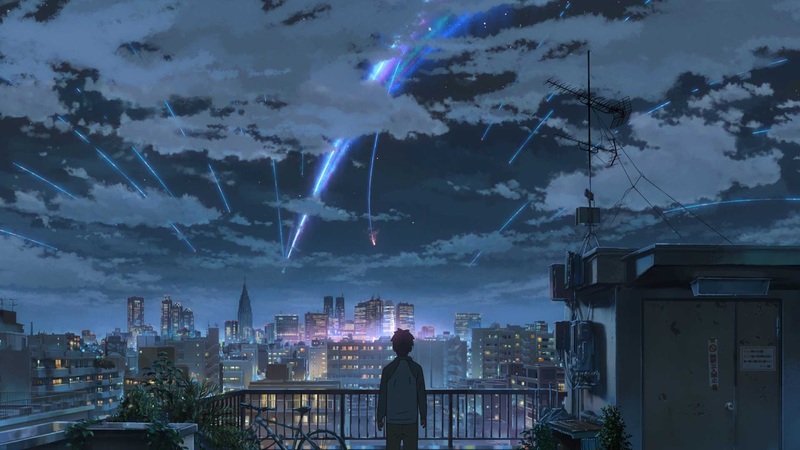 Makato Shinkai, the Japanese animator, has bucked this trend with his latest, deliriously romantic new feature Your Name. The film introduces us to a pair of high schoolers; Mitsuha and Taki. The duo are total strangers, each living separate lives - she in an almost obscenely gorgeous mountain-rage and he in bustling, metropolitan Tokyo. On one night, the couple suddenly (and with no obvious explanation) switch places. Mitsuha wakes up to what she presumes is a bizarre dream; a body swap means that she now finds herself in Taki's body, and he in hers. The switches, which grow in frequency and last on each occasion for the entirety of a waking day, see the pair struggle to act out each other's life appropriately. Long shifts at work, familial dedication and assigned societal roles, cause our protagonists to stumble and fail. Ingeniously, though, they each tutor the other by leaving notes and tips in each others' phones and in notebooks to guide one another through their tricky teen existence. 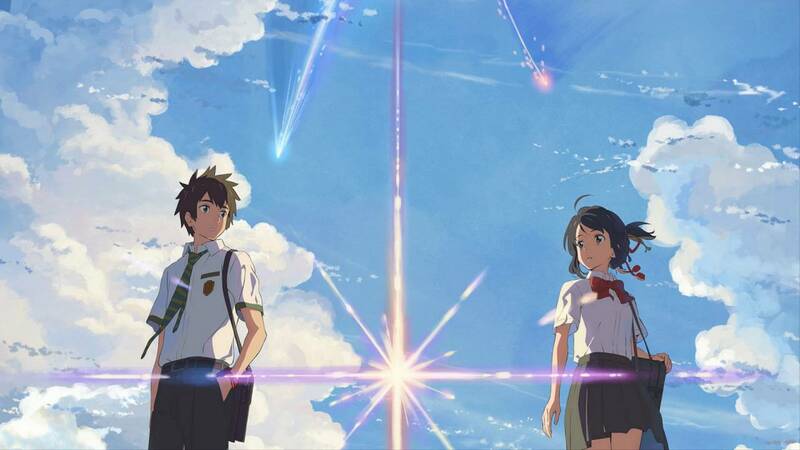 As their connection becomes greater, their brings entwined, Mitsuha and Taki desire to finally meet each other. A comet, hurtling towards earth, brings their plan into peril - will our duo ever come face to face? Has fate interjected itself to bring them together? Or to keep them forever apart? On paper, the body-swap genre provides the perfect framework to investigate the idea of "walking a mile in someone else's shoes". Yet, for the most part, any attempt to really investigate the notion of empathy naturally found within these tale's premise has been eschewed in favour of broad comedy of slap-stick and misunderstanding. In either version of Freaky Friday, for example, any attempts at understanding the lives of another are shallow and superficial. 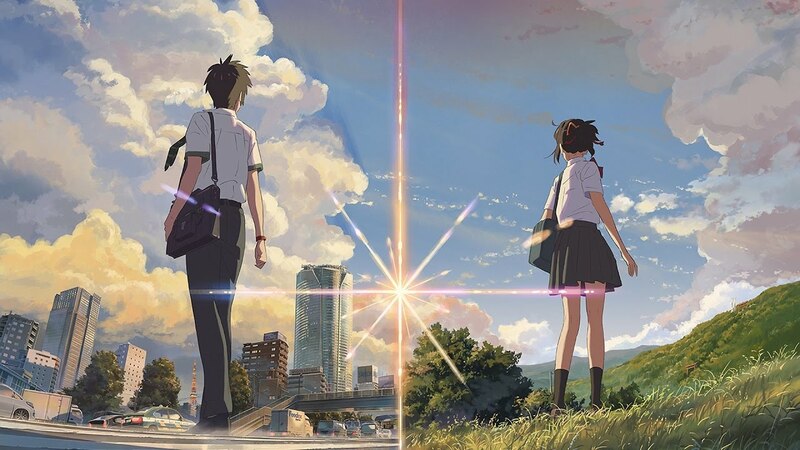 Your Name, however, is a film which presents to us a growing and ecstatic empathy found in the hearts of two lovestruck teens - in doing so, it fills the audience with the same emotions, too. The intimate manner in which Shinkai presents to the audience the struggles of his heroes - both the mundane, every day troubles and the expansive, star-struck romantic malaise found inside them - presents us with a rare opporutinity; Your Name doesn't just allow us to watch a love story, one borne of intense empathy and hope, but to actively experience it. 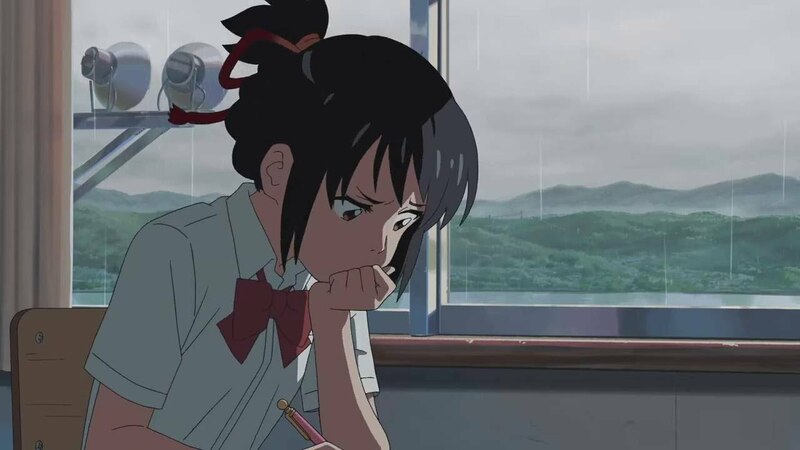 As we see Mitsuha understand the world through Taki's eyes, we observe her life through her soul whilst we engage with Taki's hopes and dreams too. Boasting some of the most astonishing, finely detailed animation ever created (I defy you to find any landscapes and depictions of natural beauty which rival this), Shinkai has further embellished his reputation as the man to watch in Japanese cinema. This love story, one which is closer in tone to the animations Brave and Brother Bear than the live action movies we associate with the body swap genre, represents one of the high points in film of 2016. Its a movie which radiates over you, fills you with glee, and reminds you of why you love cinema in the first place. This is special.